Startupbootcamp AfriTech empowers the top innovative African tech startups, linking them to the fastest-moving corporates on the continent. 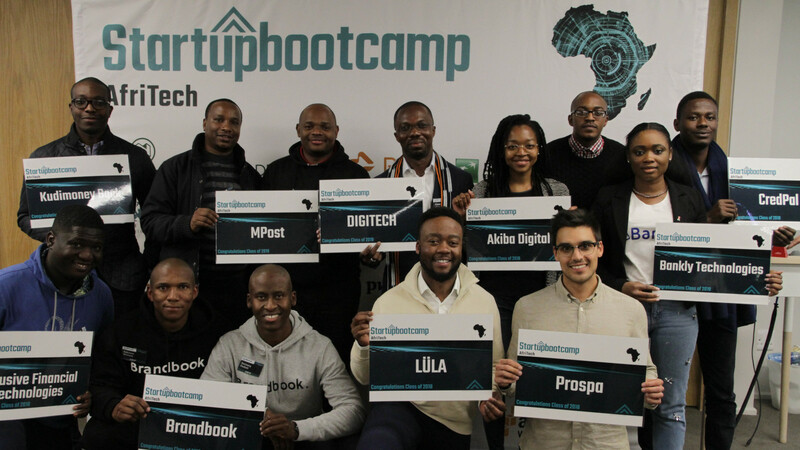 Cape Town, 12 July 2018 – Startupbootcamp (SBC) AfriTech today announced the Top 10 African Innovators selected to participate in the globally renowned, multi-corporate backed accelerator program for 2018. Post an intensive 3-month global scouting tour, across 15 countries, and inclusive of 19 FastTrack events and 220 face-to-face startup engagements, the SBC AfriTech team received 1,004 applications from 73 countries in total, attracting double the applications from its inaugural launch in 2017. The applications were shortlisted to the top 22 startup teams that were flown down to pitch their businesses over 2-days to some of the most progressive leaders in the innovation space in Africa, including corporate sponsors, mentors and investors. The SBC AfriTech program (previously SBC Africa) ended on a record high in 2017 with 32 corporate agreements in pilots and proof-of-concepts signed by close of the accelerator. Akiba Digital, South Africa: A financial savings platform and personal savings coach that leverages A.I., machine learning and gamification to democratize wealth in Africa. Bankly Technologies, Nigeria: A goal-based savings product that digitizes cash and enables in-country, peer-to-peer transfer services through the use of vouchers available nationwide. Brandbook Analytics, South Africa: A mobile application providing users free gift-card coupons for completed purchases with the ability to harvest vast amounts of consumer data and improved forecasting and analytics. CredPal, Nigeria: An innovative solution using deep data that provides individuals with instant access to credit at the point of checkout for various online and offline merchants. Inclusive Financial Technologies, Ghana: Inclusive FT’s API helps digital financial services reach the most remote customers across Africa by enabling them to onboard, verify and monitor them via digital channels. Kudimoney Bank, Nigeria: A no-charge, full-service, online-only bank making banking services more affordable and more accessible by offering an interest-earning spending account with zero charges, a savings account with above-average interest rates and access to low interest instant loans. Lüla, South Africa: A mobility-as-a-service platform that connects stakeholders to improve mobility by providing transport that is convenient, accessible and safe and enabling operators, cities and passengers to have easy access and understanding of transport. MPost, Kenya: A patented solution providing legally recognized physical addresses for the 95% of the African population that do not have a postal address. Prospa, South Africa: A micro-savings solution for low-income earning South Africans, allowing users to purchase savings vouchers at traders that entitle the user to a set amount of savings which are deposited into a mobi-savings account. SBC AfriTech is anchored and endorsed by heavyweight corporate sponsors RCS, BNP Paribas Personal Finance, Old Mutual, Nedbank and PwC. The program also has local service partners Brevity Law, Cloudworx, Inner City Ideas Cartel, and The Loudhailer and is globally supported by Cisco and Amazon Web Services. Founded in 2010, Startupbootcamp is a global startup accelerator with 18 programs in Amsterdam, Barcelona, Berlin, Chengdu, Istanbul, London, Mexico City, Miami, Mumbai, New York, Rome, Singapore and Cape Town. They take startups global by giving them direct access to the international network of the most relevant partners, investors and mentors in their sector in more than 30 countries. 79% of the Startupbootcamp alumni teams are still active and 71% have gone on to raise additional funding from many of the world’s leading VCs and angels. In 2017 the global Startupbootcamp network launched the first-ever Africa-based SBC program in Cape Town. SBC AfriTech is a leading accelerator focused on high-growth startups in blockchain, connected devices, payment solutions, capital markets and asset management, integrated supply chain, e-commerce, FinTech, RetailTech, InsurTech, alternative financing, identity management, digital connectivity, data and behavioural analytics and enabling technologies. 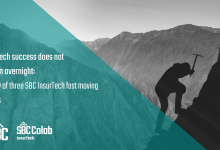 The accelerator is anchored by leading corporate sponsors Old Mutual, RCS, BNP Paribas, Nedbank, and PwC that will support and grow the program and selected startups. Global sponsors include Amazon Web Services, and Cisco. The program is also supported by several service partners including: Cloudworx, VC4A, Inner City Ideas Cartel, Brevity Law and The Loudhailer. The RCS Group (RCS) is a leading consumer finance business that offers its customers a range of financial service products under their own brand name, as well as in association with a number of leading retailers in South Africa, Namibia and Botswana. RCS collaborates with its retail partners as BNP Paribas Personal Finance South Africa. Old Mutual’s purpose is to help our customers thrive by enabling them to achieve their lifetime financial goals, while investing their funds in ways that will create a positive future for them, their families, their communities and broader society. Old Mutual provides financial solutions to individuals, businesses, corporates and institutions across several market segments and geographies in South Africa, the Rest of Africa and other select emerging markets. Our services include long-term savings and protection, investment and lending. In June 2018 Old Mutual moved its primary listing from the London Stock Exchange to the Johannesburg Stock Exchange as part of its managed separation strategy. Now operating as Old Mutual Limited, an independent entity with a strong, strategic focus on Africa, it also has secondary listings on the stock exchanges in London, Malawi, Namibia and Zimbabwe.